Zhanar Tuleutayeva ’13 and five other FLEX alumni organized an economics Olympiada for twenty students and five professors from three universities of Astana, Kazakhstan. 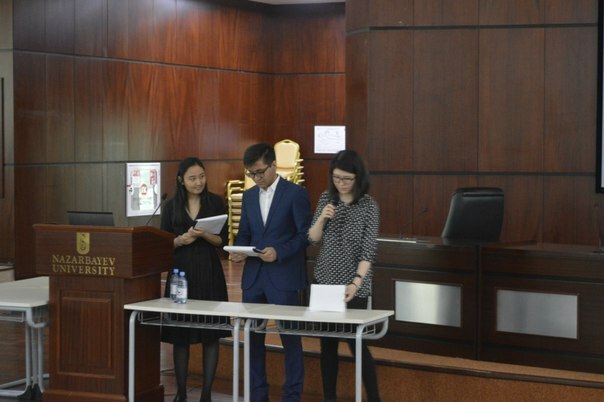 The event took place at Nazarbayev University on April 16. The venue and equipment were provided by the university for free. 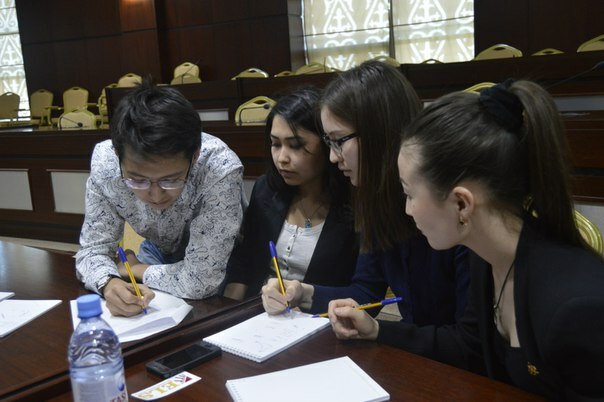 At the Olympiada, participants competed in three rounds and the strongest two teams were invited to the grand final. There the semi-finalists together with their professors had to solve a complicated game theory and present their results. ‘All of the teams did a great job and really enjoyed the competition. The most interesting thing is that the team members hadn’t met each other before but they became friends in the process,’ says Zhanar.